How to make a "Nise"
"Nise"is a drug with antipyretic, anti-inflammatory and analgesic properties. It comes in various forms and can be used to reduce fever, relieve pain of any etiology, treatment of arthritis and other diseases. Take "the best medicine" for arthritis, rheumatism, osteochondrosis, sciatica, inflammation of ligaments, tendons and soft tissues. Medicine quickly relieve fever and pain, including in the postoperative period. In addition, the drug has antioxidant property, and can therefore be used for treatment of diarrhea in infectious and inflammatory diseases. "Nise" is available in tablets of 50 mg and 100 mg and as a suspension. For local use is preferablenayz-gel. 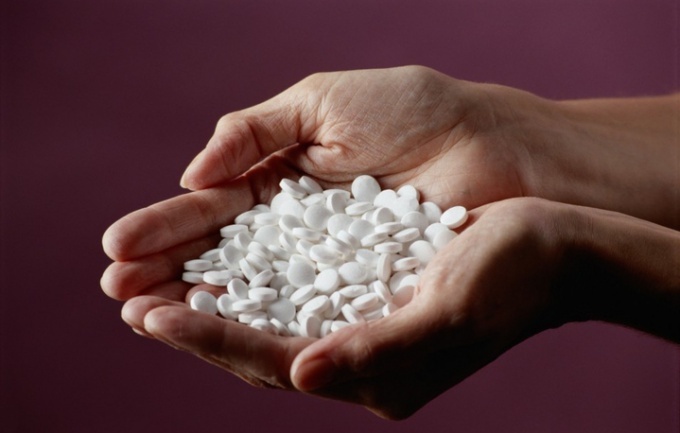 If not assigned a different treatment regimen, take 1 tablet 100 mg twice a day. In severe cases double the dosage but do not exceed the maximum daily dose of 400 mg.
For a child age 3-12 years at a time dissolve the tablet "Nise" 50 mg in a teaspoon of water. Depending on the severity of the condition, let cure 2-3 times a day. For a child aged 2-3 years use, the suspension is "Nise". Shake the bottle before use and give your child 0,5-1 scoop of medications. The multiplicity of reception 2 times per day (in severe cases - 3). Use suspension and tablets of 100 mg before meals. Soluble tablets of 50 mg drink immediately after a meal. Take medication with plenty of water, otherwise you may pain in stomach and nausea, heartburn and even vomiting. If you experience a severe allergic reaction (bronhospazm, anaphylactic shock), stop taking the medicine and contact your doctor. Other side effects (headache, anemia, fluid retention) does not always require discontinuation of the drug. Often eliminate them after possible dose adjustment "Nise". "Nise" is incompatible with some drugs: methotrexate, cyclosporine, phenytoin, digoxin and others. In the case of reception of these or other medicines inform the doctor to revise the assignment.